We are one church family which meets in a number of places and times on Sundays. Each service is different and we cater for a variety of tastes. The 10:00 AM service is at All Saints, Fordham. If you are looking for a family-friendly service where children are welcomed and included, you might want to try this service. The first Sunday of each month is an All Age Service, and every third Sunday is Holy Communion. 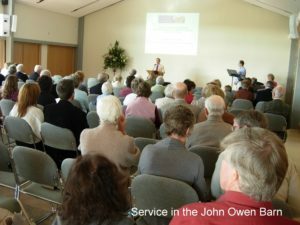 The services have a short children’s talk at the beginning, following which the children leave for All Saints Club in the John Owen Barn. All are welcome and coffee and cakes are served after the service. See our calendar for all upcoming events and services at Fordham Church. 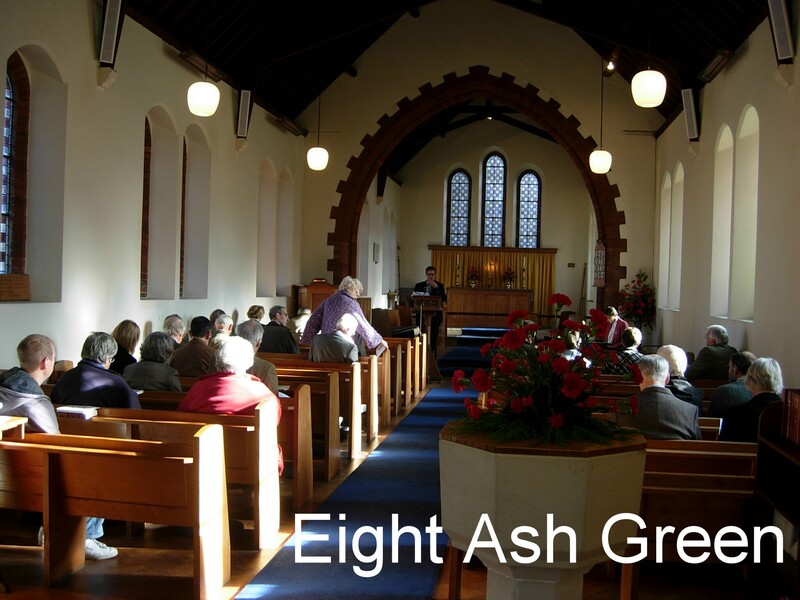 The 11:15 AM service is at All Saints, Eight Ash Green. For those who prefer a later start and a quieter setting, this offers a more reflective and traditional style of service. You will find coffee, cakes and a warm welcome here too. Every 3rd Thursday, there is a Book of Common Prayer Holy Communion service. 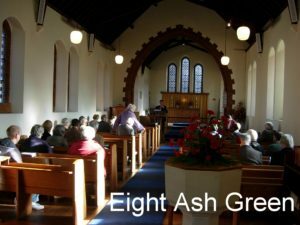 See our calendar for all upcoming events and services at Eight Ash Green. The 6:00 pm service is at the John Owen Barn, on the grounds of Fordham church. This is more informal style of service blending modern songs with more traditional elements. This makes it particularly attractive to students and young people, although all ages enjoy the fellowship together. The service has a relaxed yet reverent style, with the same focus on Bible teaching found in all our services. See our calendar for all upcoming Sunday@6 services.